While most of my friends were enjoying the French Quarter Festival, I travelled to Southeastern University in Hammond for the State Science Olympiad tournament. Just look at all those medals. 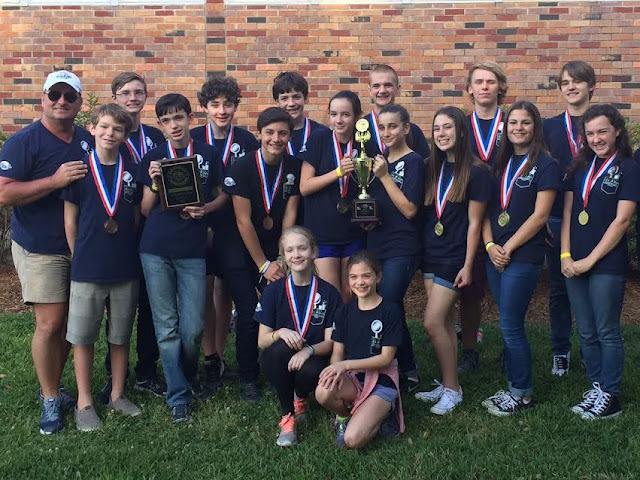 I am happy to report that St. Paul's Episcopal School placed 2nd out of 15 teams in the State. Woohoo! So yes! It was well worth it. Congratulation Ron. Great picture of your winners. Well done! I've said it before....you will be the teacher the students remember; the cool, caring teacher making science fun.